"Mapped to the 2018 NMC standards"--Front cover. 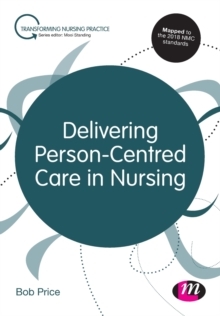 Delivering effective and responsive person-centred care is a key requirement of nurses' professional practice and a core skill nurses must develop throughout their degree. This book explains and demonstrates how nurses can transform the ideals of person-centred care into reality for patients throughout their healthcare journey, in a variety of settings. Through the use of varied case studies, this book applies this practice to all fields of nursing, allowing students on any course, at any point in their degree to find useful guidance within its pages.